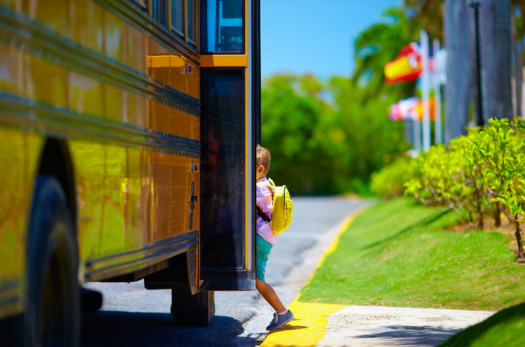 Summer vacation–a time students look forward to most. For the majority of children, this almost three-month break means sunny, hot days and hanging with your friends at the pool. It means no homework and no cramming for tests. But, what happens when summer ends and the first day of school approaches? Are students more prepared to take on another year now that they are revived from the long break? Or are they even more pushed back academically as a result of the long break? Year-long schooling can be the fix to help students progress faster and more efficiently in their studies. With having such a prolonged break in between school years, students lose much of the information acquired. This results in teachers having to teach some of the material again before stepping into new topics–wasting valuable learning time. Year-long schooling will keep the learning process ongoing. Two-week breaks frequently in comparison to two-month break yearly will ensure students are focused and kept in a routine while still receiving “de-stressing” time. Kids will be happier and concentrate more on their studies when they are given short periods of time to catch up and relax. Many schools have outside areas where students can go and study while still enjoying the nice summer weather. Students might actually be more involved if teachers changed the scenery of a traditional classroom to mother nature. Having the warm sun beat down can ease the confinement that school entitles. Additionally, year-long schools can aid in providing students the opportunity to advance more quickly in their education. If schooling was year round, there would be less distinction between grade levels. Instead of waiting for the next school year to start, more advanced children would be able to just go to the next grade. For a kid, there is nothing better than summer break. In fact, a never-ending summer would be ideal. However, everything must come to an end eventually. It would benefit the nation and world greatly if we implemented year-long schooling to fix our current education system.